For all of the progress that T-Mobile has brought to the wireless industry over the past couple of years, it’d be a shame if it all ended in a merger with Sprint. While that end game seems highly unlikely under US regulators, it’s becoming clear that T-Mobile probably won’t be able to sustain its Uncarrier approach over the long haul. During a recent chat with Re/Code, Timotheus Hottges, CEO of T-Mobile parent company Deutsche Telekom, admitted that he was intrigued by the idea of a merger with Sprint and being the super maverick in the market but conceded that it won’t happen under the current political environment. Regulators appear to be dead-set on preventing any sort of deal that would reduce the number of major wireless players from four to three. It’s why AT&T’s attempted acquisition of T-Mobile failed and why Sprint decided not to test the waters. Hottges, however, believes the issue lies not in how many major carriers exist but the concentration of wealth and spectrum owned by the two biggest players, AT&T and Verizon. Those needing proof of this should look no further than the ongoing FCC spectrum auction, he hinted. The auction Hottges is referring to is for six blocks of spectrum amounting to 65MHz. The auction got under way on November 13, 2014, and quickly blew through presale estimates to become the biggest in FCC history. Just a week in, bidding had surpassed $34 billion. AT&T and Verizon are likely the two companies responsible for the insane bidding that hasn’t yet let up. As for outspoken T-Mobile chief John Legere, Hottges said he liked people being disruptive and who are brave but his management style would never be adaptable to Germany. 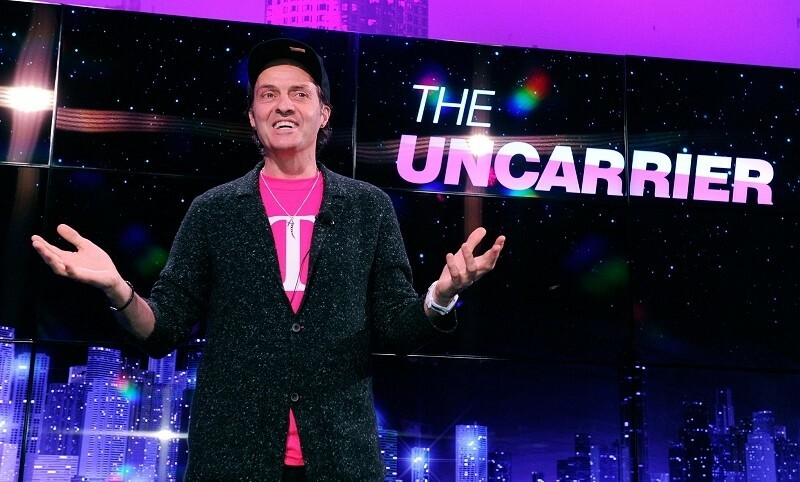 Unfortunately for consumers (and good news for the competition), he admitted that the company’s disruptive Uncarrier approach is not sustainable. You simply have to earn your money back at one point in time, Hottges concluded.